In case you haven’t heard by now, Google started rolling a long anticipated Google Penguin refresh in mid October. As with all Google algorithm updates, this Penguin rollout has sent tremors throughout the Internet marketing world. Many website owners started scrambling to find out if their websites had been negatively or positively affected by the change. Reports surfaced that some websites had been released from the Penguin’s dungeon and other sites’ traffic plunged. Google’s Penguin is a complicated algorithm that may have you puzzled. If you are, you are not alone. This article will take a look at Google Penguin 3.0, and what you as a website owner need to know. This refresh would be a slow worldwide rollout. We may notice it settling down over the next few weeks. This refresh is reported as affecting less than 1% of queries in US English search results. 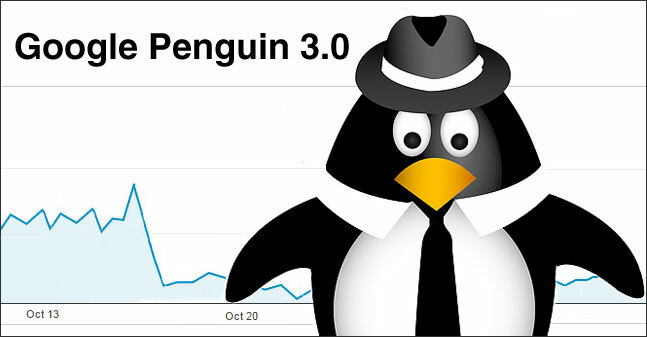 It has been almost three weeks since the debut of Penguin 3.0. Google Webmaster Trends Analyst, John Mueller said that as far as he knew the data was still rolling out in a Webmaster Central office-hours hangout earlier this week. The previous Penguin update was over one year ago on October 4, 2013. For some websites that were in the Penguin jail since last October, this release meant a welcomed relief and recovery. For others, it meant a huge drop in organic website traffic due to questionable linking practices. Google’s Penguin is not a cute little flightless bird or a fierce Gotham City villain. Links that were purchased (appear on another website). Incoming links from low quality websites. Incoming links from unrelated websites. Links that have over optimized anchor text. For example, if every incoming link to your website is the same keyword phrase, “blue widgets”, then the Penguin filter might be tripped. Penguin is a site-wide issue according to John Mueller. This means that if your website has lost trust in Google’s eyes, then it is likely that the entire website may not be trusted. Next, look for the Primary Dimension, “Source” and click that link to show the search engines. 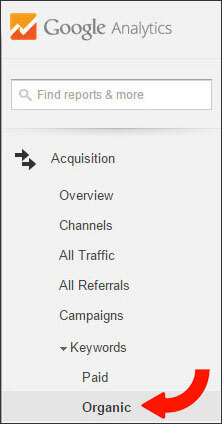 You can drill down deeper and separate Google’s organic traffic from the rest by clicking the “google” link. The graph of Google’s organic traffic will help you determine if traffic to your website dropped in conjunction with one of the Penguin release dates. If it has, your website may have been affected by Penguin. If a website has been filtered out of Google by Penguin, it will take time and perseverance. Plan to have a thorough link audit conducted of all the incoming links to your website and sanitize those that could be perceived as unnatural. One comprehensive tool to run reports of the backlinks to your website is Remove’em. This is a professional backlink removal tool that you can use yourself to analyze backlinks and contact webmasters for removal. Recovering from Penguin’s wrath is complicated, tedious and time consuming. I have only touched on the surface to provide an overview. To review or if you are new to Internet marketing, incoming links to your website may have a positive effect on your search engine rankings. It is important to note that it is not the quantity, but the quality of those links that impact how your website will be ranked. Quality incoming links are like “votes”. Matt Cutts, head of Google’s web spam team and distinguished engineer had this to say in an interview by Eric Enge, in July 2013. Why is Google So Tough? “Our advice for webmasters is to focus on creating high quality sites that create a good user experience and employ white hat SEO methods instead of engaging in aggressive webspam tactics. Google Penguin is an algorithm filter with the purpose of filtering unnatural or spammy links from its search results. Recovering from Penguin’s wrath takes time and patience to remove unnatural links. Our ultimate goal as website marketers should be aligned with Google’s to create a good experience for those who visit our websites and practice ethical SEO techniques. Have you seen any significant changes to your website’s search engine traffic and rankings since Penguin 3.0 rolled out? What is your biggest question about Google Penguin? Oh, no, another Google change! Does this mean I have to work differently in Yoast? Hey Tina, thank you for taking the time to read this. No, there is really nothing to change in Yoast that would affect this Google refresh. Google Penguin can be a confusing algorithm. Basically, Penguin targets linking practices that don’t follow Google’s guidelines. These types of links try to game the system with the intent of getting higher rankings in the search results. For example, if every single incoming link to a website had the anchor text with the keywords, “blue widgets”, then Penguin might be triggered. Thanks again for stopping by!